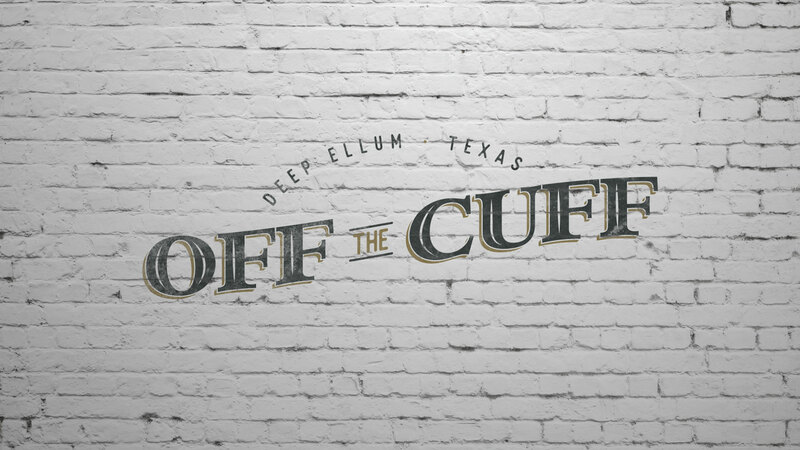 “Off the Cuff” is a neighborhood sports bar concept in Deep Ellum with the goal of becoming a high-volume environment where everyone feels comfortable and welcome. 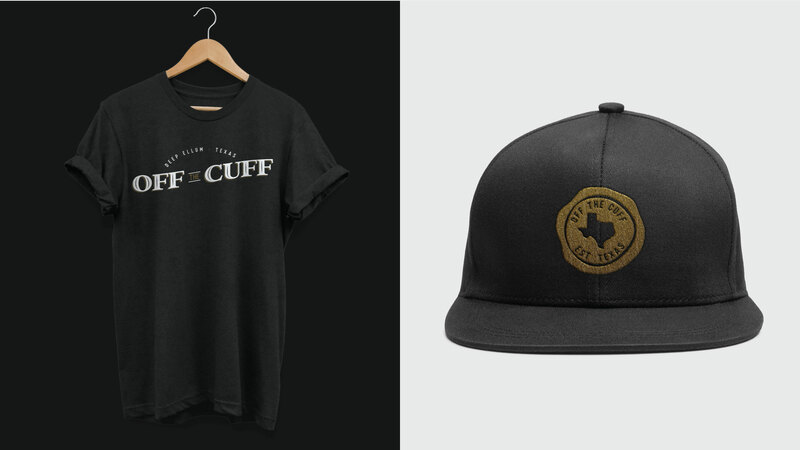 The phrase “Off the Cuff” originated in the United States during the Great Depression Era, meaning spontaneous or without prior preparation. 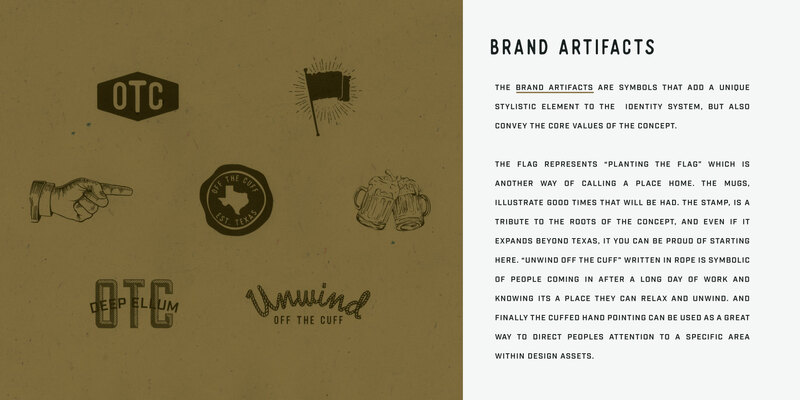 The unique 1930’s inspired bar asked Dyad for a full concept brand development, website, logo, menu design and collateral. The sports bar needed to be positioned with the reputation of a friendly neighborhood bar to add to the distinct culture of Deep Ellum. 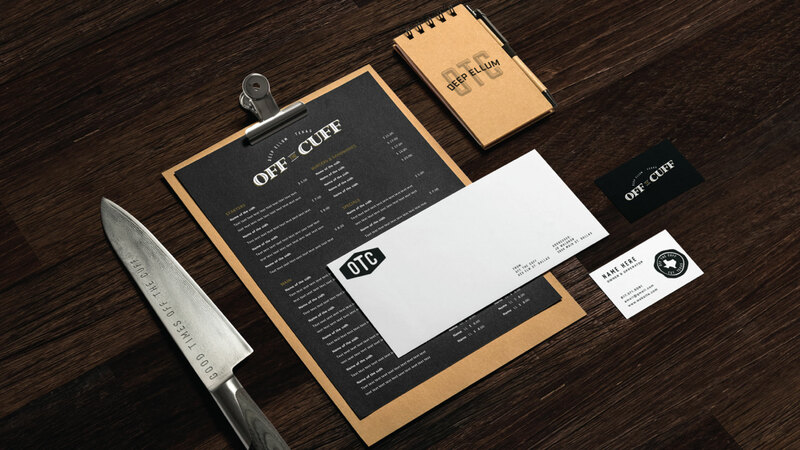 Their branding reflected this attitude and needed to remain consistent with the over all design of the building. You can’t have a brand without a vision, and our approach to this branding was to make it feel like it’s a part of any neighborhood and stay a seamless brand that blends and feels like home. The team gathered inspiration from the 1930’s sign and print design, we wanted to create an identity system that was seamlessly apart of any culture that it opens in. We started with branding the website, creating authentic print sign design from the exhibition era with typography that had a worn look, and brand artifacts. There are multiple elements that make the deliverables feel like they are a part of their branding and not so much in your face, with muted colors and raw materials.